Happy 2016! 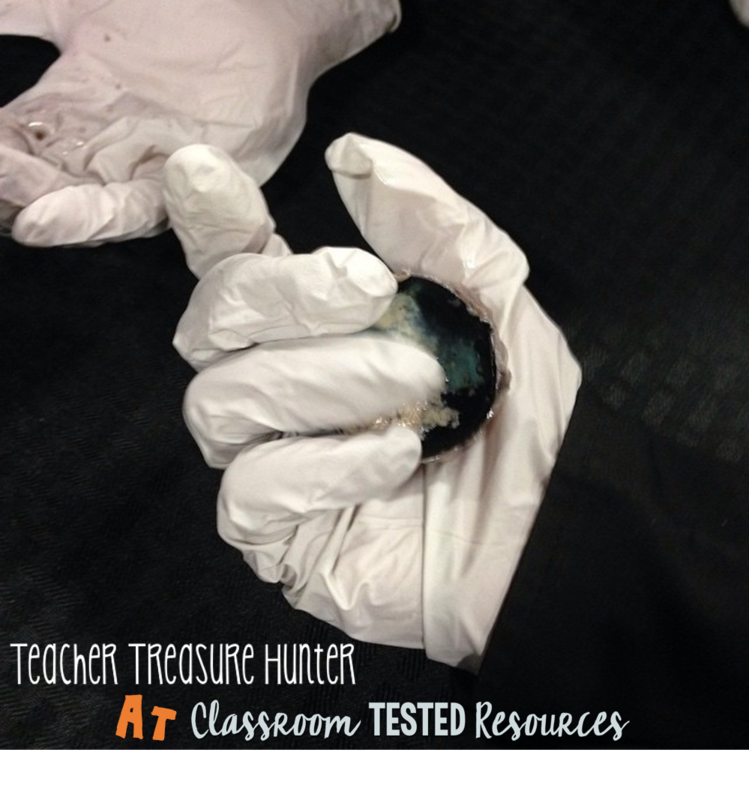 This is Melissa from Teacher Treasure Hunter and I wanted to share some of my favorite science tips with you today. 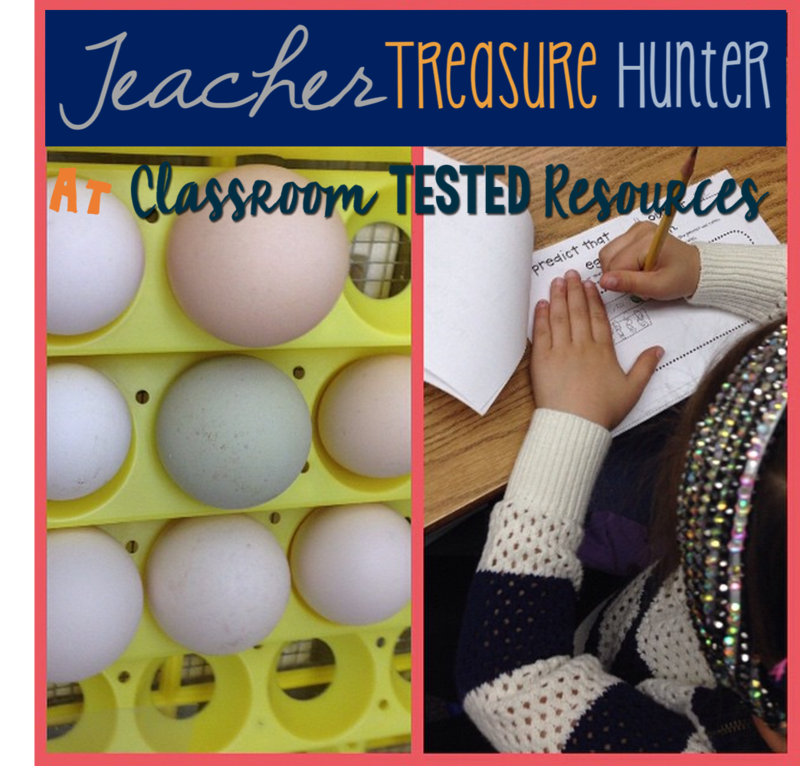 I hope that you find a few things that are useful to you and help enhance your lessons. 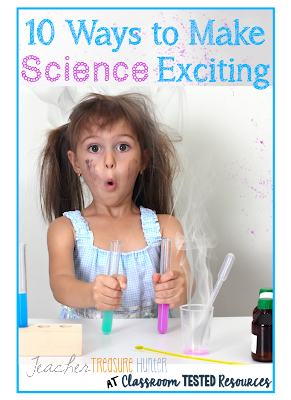 I'd love to hear how you create excitement with your science lessons. Leave me a comment! Learning “sticks” so much better when it’s active learning. They remember the activities that get them moving and engaged. One example I have is of a science lesson earlier this year. I was teaching from the textbook and felt myself getting bored. Yawn! That’s a really bad sign when the teacher is bored!! It was all about the parts of the ear – diagrams, explaining each part, labeling, etc. As we were reading about some part of it (perhaps the eardrum that bounces sound) it occurred to me how active it is. All these things are happening! Could we do those actions? Sure! So, 1 student was the sound wave and other students were all given a different part. We talked about what that part did and what they could do with their body to illustrate that. There were arms swinging, tunnels and all sorts of silly movements. Their favorites were probably the sound (student) bouncing off the eardrum or arriving at the brain (I’m here!!). They talked about it for weeks! BTW, as I was just typing this a search for parts of the ear led me to a YouTube series for kids on health (including parts of the ear!) that looks really good. I’ll include a link in the YouTube (#7) tip. Keep reading! Another great thing for students to do is to illustrate the concept. I talk more about illustrating vocabulary words in #3. When students are able to draw the concept (water cycle, etc.) it will help them remember it. 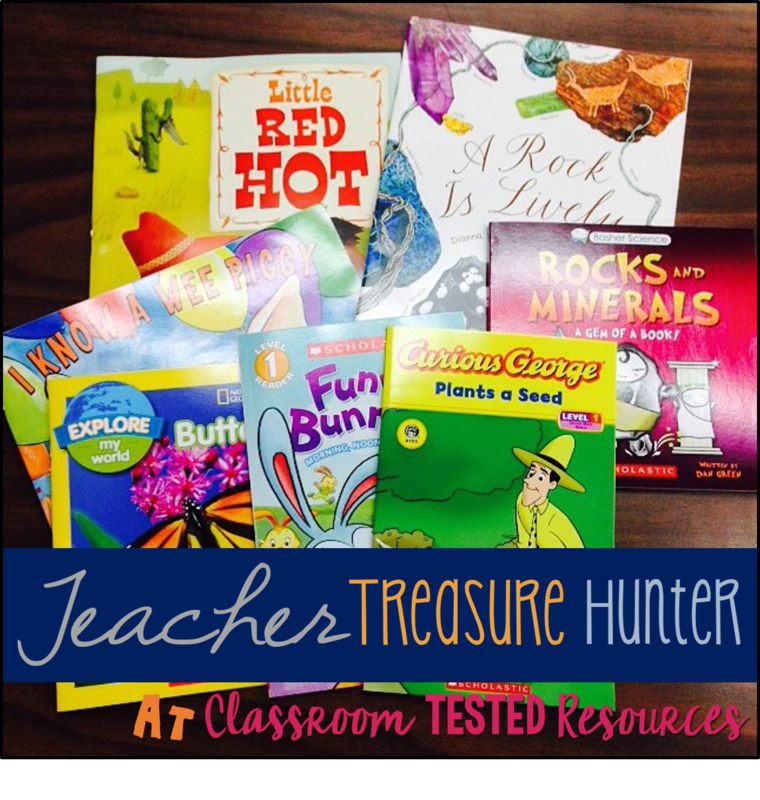 They can be your anchor chart makers! Interactive notebooks are also great for this. Students can illustrate things throughout the book. Vocabulary is so important in reading and I think Science illustrates the necessity of it clearly. I recently met with my son’s High School Science teacher for conferences and we had a lengthy talk about how important vocabulary is for learning Biology. If they don’t know what the words are then explaining the processes is rather meaningless. 4. Make it a game – memory, Jeopardy, Hangman. Anything that you can come up with to make it interesting. 5. 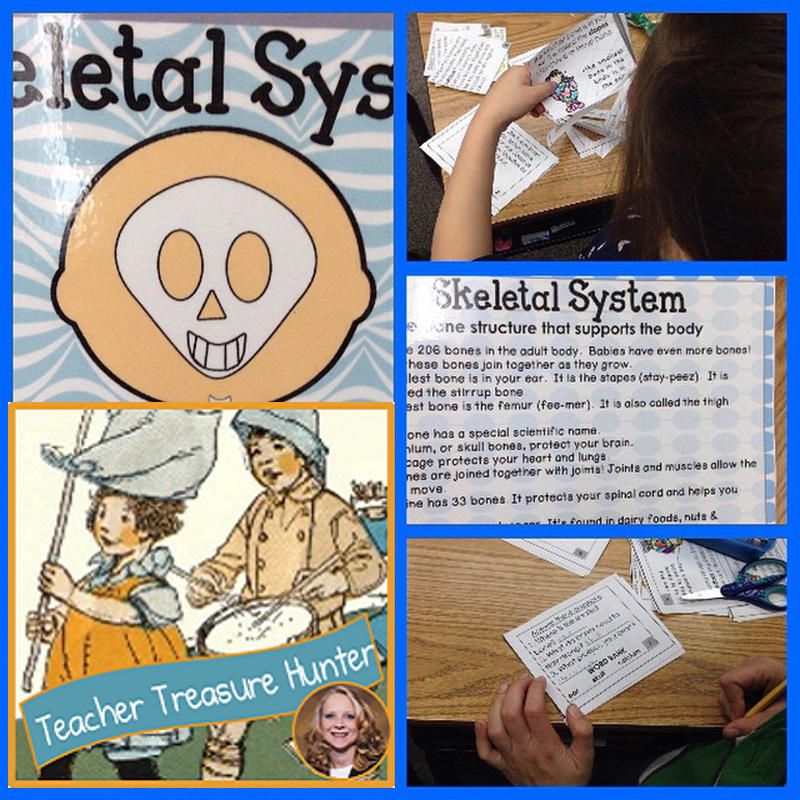 QR codes – I have a science pack (Human Body) that I made for my students where they read a question (mostly about a vocabulary word, part or function of the human body) and then say the answer. They then scan a QR code to read the answer and see if they are correct. We like to do this as a whole class activity and students take turns reading the card (displayed under the document camera) and then scanning the code. I also made a science vocabulary game for elementary students that includes some of the vocabulary words that I use ALL THE TIME in science lessons. They definitely need to know these! The link is at the end of this post. Giving children a chance to see and observe nature and science materials is so important. That is how they make independent discoveries! 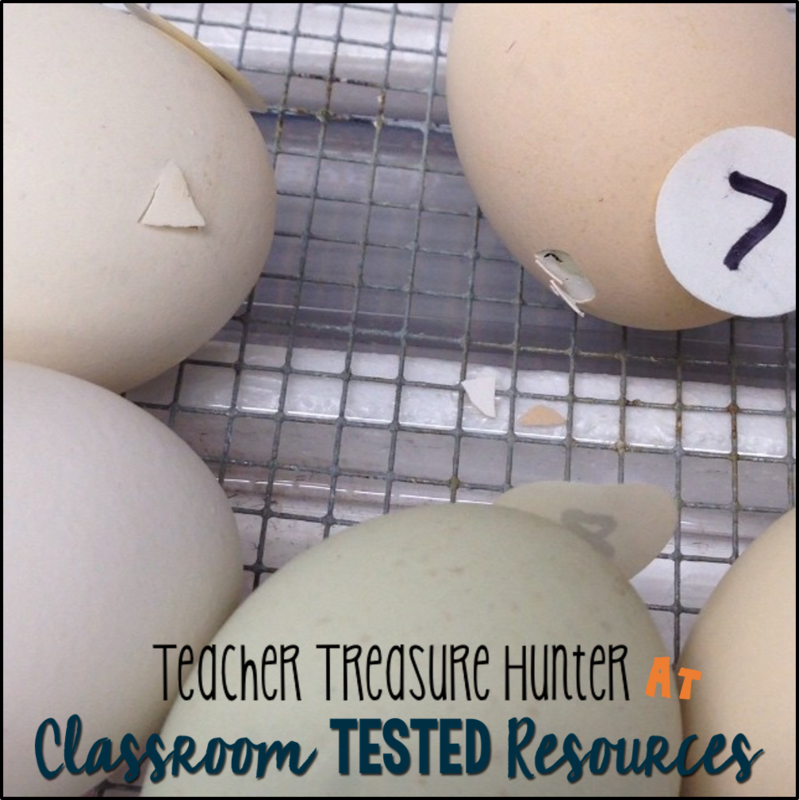 I have a really small classroom, but I’ve still managed to find a few spaces for some science displays. 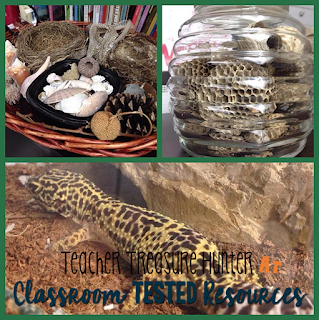 I currently have a jar with a bee nest and part of a honeycomb (I think the jar showing in the picture might be wasp nests), a Leopard Gecko (class pet) and a science basket with leaves, pinecones, seashells and anything I can find to put in there! I keep some magnifying glasses close by. When I was on a hike this break I picked up a few extra things to add – a tiny pine branch and a piece of moss. Just giving them time to explore outside can be beneficial. 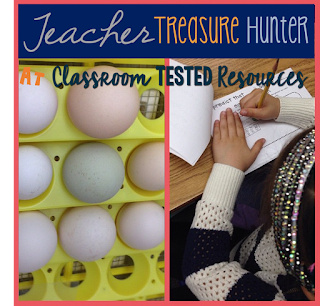 You could even use some ideas from #5 – Scavenger Hunt. Our school property is pretty much just grass. How I wish that we had some big, beautiful trees! Even with that limitation we still find plenty of things to discover outside. We’ve found preying mantis’ and even unusual leaves and thorns (HUGE thorns!) that blow over from other areas. We do have a LOT of wind! 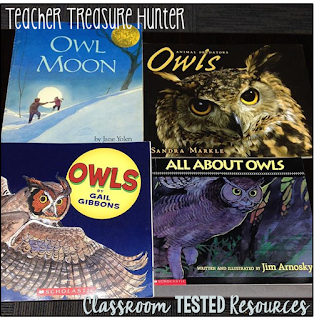 Think of some fun activities to implement into the classroom that require them to use observation skills. One of my favorites is watching eggs hatch! Sometimes a most structured observation will help them to “see” things that might otherwise go unnoticed. 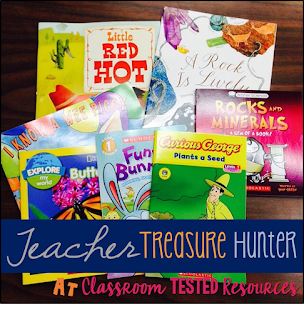 A scavenger hunt is a great way to turn it into a fun activity. I’ve used this at a field trip to a Wildlife Refuge in our area. We weren’t able to schedule official visits (lottery system – huge demand and big wait lists) that included all the centers and volunteers who would do activities. So, we made our own field trip. 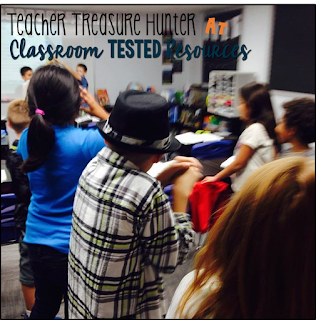 We went there and did some activities (teacher led) and also did a scavenger hunt. This involved a few people going out there early (I made a few trips) and looking around for things for them to find. It turned out great and kept the kids engaged. Our area doesn’t have any zoos or aquariums. We have to be more creative with our field trips, but we still make them happen. I mentioned the Wildlife Refuge (#5). We also have the tradition of taking a long walk to a park at the end of the year. This started because there were some nesting birds in the trees along the way so the students went to look at them. They are no longer nesting there, but we always see birds along the river – often Pelicans and Cormorants. We do have a wonderful planetarium in our area! We also look for any other opportunities – last year it was a traveling health exhibit. 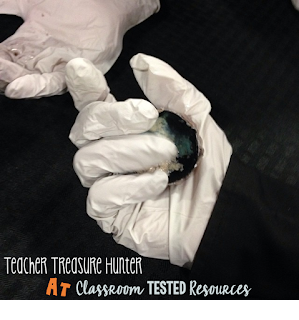 The student were able to do so many hands-on activities – including touching a cow eye! There are so many fun YouTube science teaching videos. I recommend only showing them through SafeShare as you know there can be all kinds of junk on YouTube! Also, watch the videos first and listen to them -- is the information accurate? There are MANY others too! I keep playlists for most every unit that I cover in science classes. 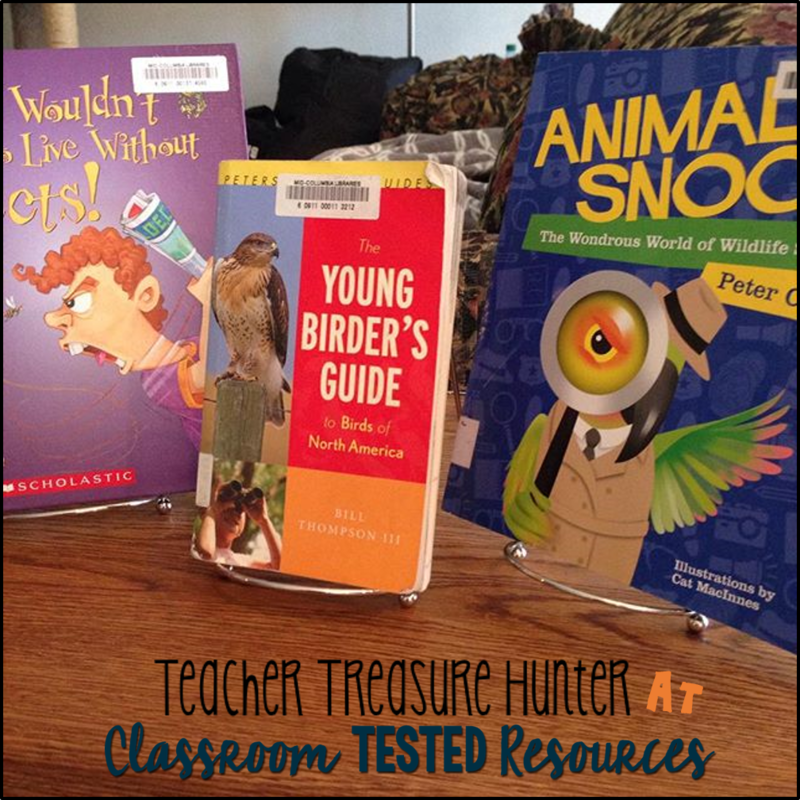 Look for videos about animals, songs about concepts or even a biography of a scientist. Other good video sources can be Netflix, Amazon Prime Videos & AppleTV. These are full length TV shows or movies. You can find things like Bill Nye, Magic School Bus & Disney Nature (Planet Earth and others). I would rather use clips (that's what makes YouTube so useful!) so we have more time to make our own discoveries, but sometimes a full length show is really helpful. I have been reading posts by teachers who don’t get snow in their area and how they try to teach their kids about snow. We have it so much easier that teachers in the past! We can show them videos, have them listen to someone describe it and they could even watch a video of snow falling or see a micro photo of a snowflake. Take advantage of virtual reality type field trips. I’m determined that I will participate in a Skype chat with a park ranger sometime. I just haven’t had a chance to figure out Skype in my classroom yet. It would be an amazing opportunity. Read this promo from a Denali Park lesson plan – “The education staff at Denali can visit your classroom for free via the internet. Using Zoom or Skype videoconferencing connection, Denali becomes just a click away. Once connected, our staff will spend an hour teaching your class about Denali's amazing natural resources using interactive lessons and activities.” AMAZING! I am going to make this happen soon!! Click here for more info. about Denali Skype visits. I’m sure we all have access to many science books for students. I just wanted to share a few things that I think are important to remember. 1.When you are buying books (Scholastic book catalog, book sales, Goodwill, etc.) try to always include some science books. This will keep your selection varied and new. 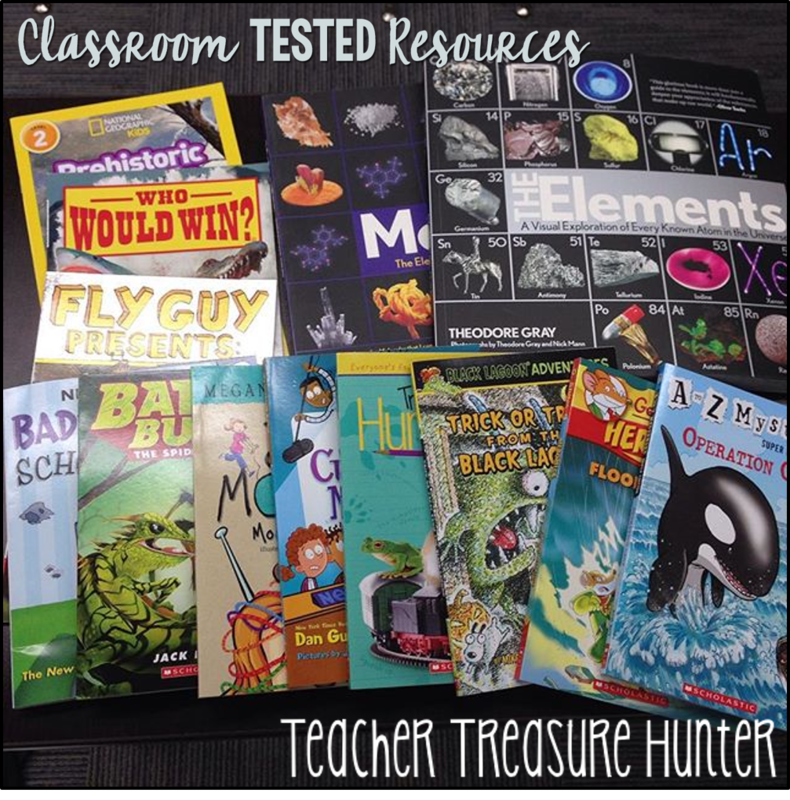 2.Include books that are for older students. I bought a couple of really neat books – Elements & Molecules – thinking they would be good when my boys (middle school & high school) came to my room. They are SO interesting! 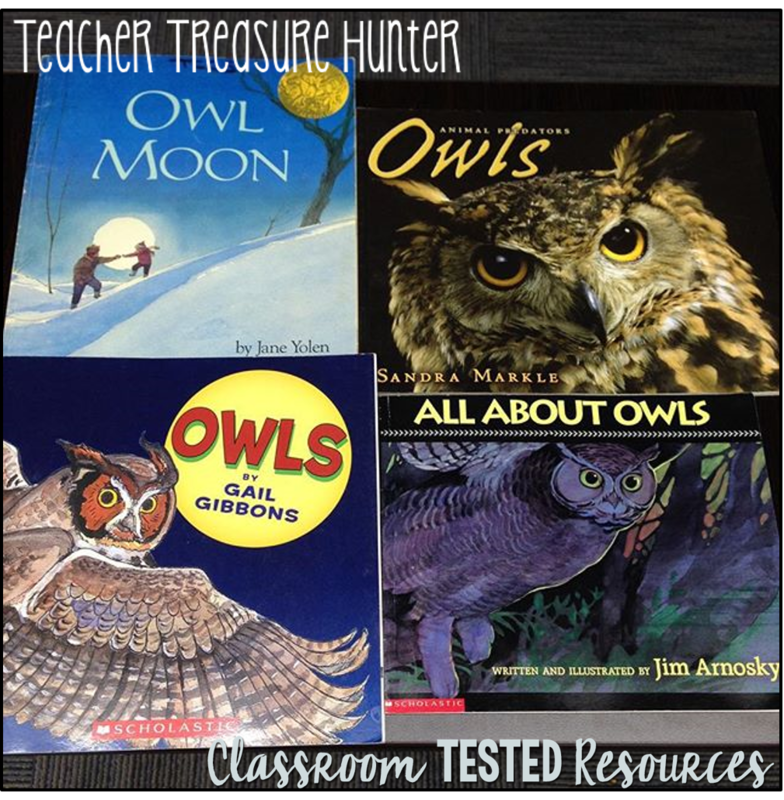 I have a few students who read those books all the time! 3.Look for new releases at the library. I have my “tried and true” collection of books for each topic, but I have to remember that there are new books being published all the time. If you’ve read your current books a bunch of times, your students probably have also. Looks for a few new ones! The pictures are from a variety of shopping trips. My favorite is our library book sales. They have kids books for 25 cents!! You can see that I always include some science books -- I can't resist! You know how much you learn as a teacher – by having to understand something well enough to teach it – our students need to experience that! They need to share what they’ve learned! 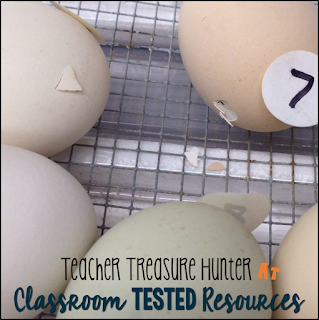 They can share with another student or another class. A really fun option is that they can even share with a class on the other side of the world! Technology is amazing! 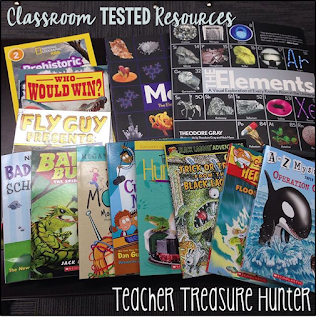 Looks for ways for your students to share! One of my latest products is a Science Vocabulary game. 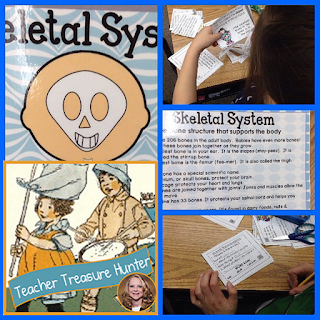 It is a fun game that uses the definitions of words that are important in elementary science. Click here to read more about it. These are all great ideas Melissa! When I taught matter I had the students act as if they were the molecules in the three states of matter! That sure did stick for them! I never thought of using netflix in the classroom. I need to search for the Bill Nye Science Series. Those were great.